May is a very special time of the year. The weather is almost perfect, flowers are blooming everywhere and the fresh air feels amazing! It’s also a crucial time to keep sun protection top of mind as May is recognized as Melanoma Awareness Month. 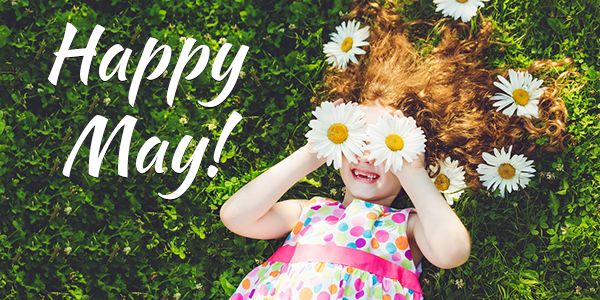 Here's to another amazing and successful month! Watch the tutorial below to find out how! Two Way text message confirmations are now available for US and Canadian clients! 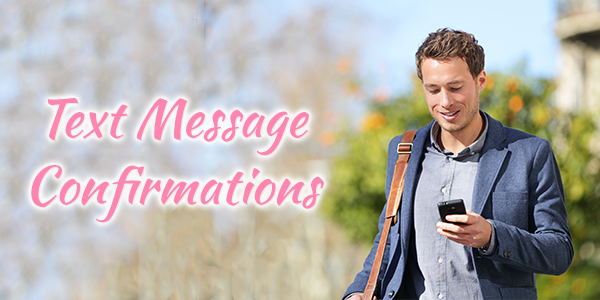 Text Message Confirmations will allow your clients to reply back to their text message reminder to confirm they will be coming in for their appointment. Contact us at: 1 (800) 798-6199 for more information! Shawn is the application architech for MDware. 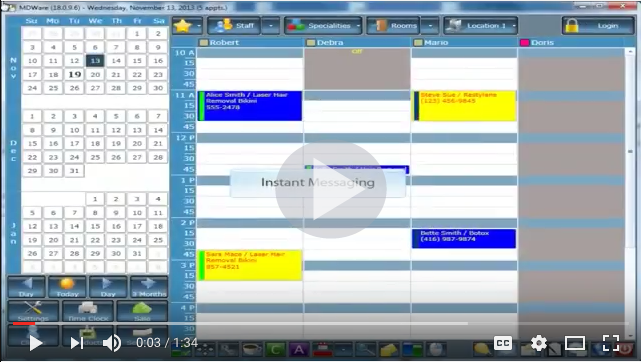 He designs and implements the software systems that make MDware possible. Fun Fact: He loves to go fishing in his spare time or watching baseball games. His favorite team is the Toronto Blue Jays. Authority Marketing is, the strategic process of systematically positioning you and/or your organization as the leader, the expert, the celebrity and the “Go-To” Spa and or Medi Spa in your community. The best way to practice authority is by becoming a published author and having a book. A book with your name on it will help market your business effortlessly, improve your professional status and help you become a celebrity! 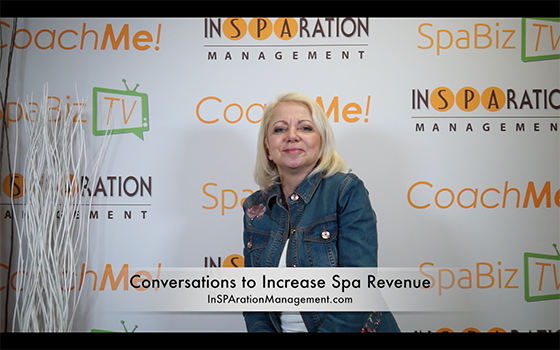 Do you know what conversations are taking place in your Spa and or Medi Spa? Are they purposeful or meaningless conversations that lead to small talk and unproductive results? To be successful, your team must have key conversation points with every guest. Their experience should include key questions presented to every guest. Questions to discover your guests’ needs. Followed with the solutions to address their specific needs. 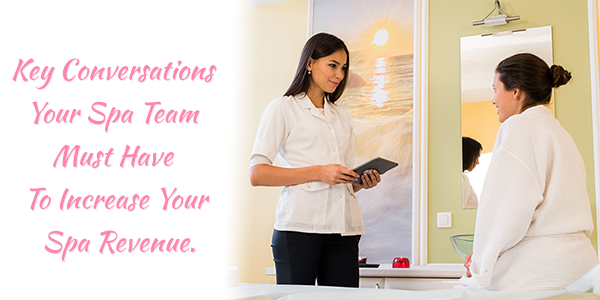 Your spa team should have purposeful conversations. The following 4 Steps will guide you into key conversations leading to a great guest experience and increased revenue. Making a great first impression sets the stage for the entire spa experience. Teach the team to start with the word WELCOME! Welcome should be the first word out of their mouths. Help the guest and guide them to the treatment suite. Note: The team should know if this is the guest’s first visit or if they are a repeat guest. Knowing this will help guide them to have informative, more effective conversations. Acknowledge if this is their first visit or if they are a returning guest. The team should know what they experienced in the past, with whom; as well as, what products they purchased. The more informed the team is, the better the conversation will be. It’s wise to give new guests something such as a special ribbon or bracelet for the entire team to know this is a new guest. Every person on the team should welcome them and make them feel very special. The conversation from the relaxation lounge, or the reception area to the treatment suite should be light and welcoming, while acknowledging who they are. Once they are in the treatment suite, it is essential that your therapists go over the intake form and discuss all the concerns the guest has checked on their form. Ask questions and have them elaborate on their concerns. The Discovery is one of the most important parts of the experience. If the spa team does not take the time to discuss your guests’ needs, they won’t be able to achieve the results they are looking for. Prepare a series of questions your team must ask every guest prior to beginning their treatment. See the Therapist Manual for scripts. While doing the treatment check in with the guest, ask for feedback about the temperature, pressure, feeling, etc. Inform them if something is going to be cool or hot, or if it will hurt or feel uncomfortable. Give them a synopsis of the Spa / Medspa treatment steps so they know what to expect. This is one of the biggest missed conversations and opportunities. The lack of recommendation conversations costs spas millions and millions of dollars! Frequently, I have the pleasure to be a secret shopper to assess spa guest experiences. The purpose is to help Spas and Medi Spas improve their process and increase revenue. Rarely I encounter team members who converse with me about recommendations. In most cases, they talk about everything else but recommendations! In this phase of the experience, it is essential your team have these important conversations. Post treatment, therapists must have the guest stay in the treatment suite to make recommendations. They should also have tools to help guide the conversation. I go over this in the Don’t Sell, Recommend! CD. You must have a Guest Recipe Form to help guide the conversation. The form has two parts: a treatment recommendation side and the home care recommendation side. 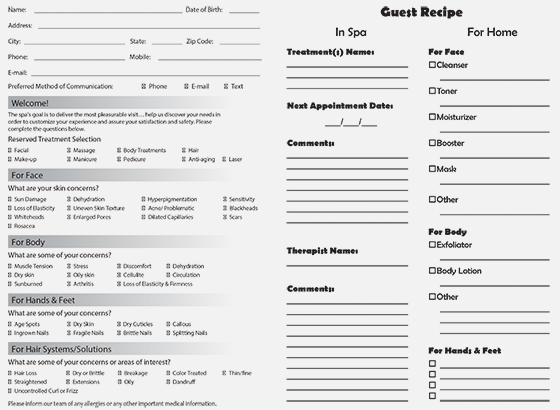 No one should check-out or leave your spa without this form filled out and discussed with the guest. To insure your team is having effective and purposeful conversations, join us for the next CoachMe Genius Module and Increase Your Revenue!